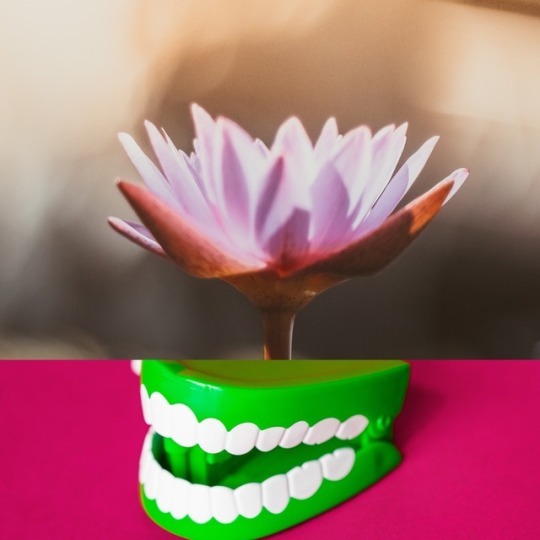 Meditation and Dentists - Does it work? We went to another dentist. Not quite as nice or understanding but okay. Plus I was much older. At nine, I figured I could be brave and handle the visits. By this time my father had a great employee dental plan. Well, suddenly I was having to go back again and again to get so many silver caps and cavities fixed! Finally around age 14 rebelled. I didn’t want to go back and get the last two cavities fixed. Fast forward to my early 20s. I finally decided to go see a dentist and get those last two and how ever other many other cavities fixed. After my initial visit I was shocked! I had no cavities! None! Zilch! Can cavities heal themselves? The dentist said no. My conclusion was that in my younger years I’d had all this work done and the majority was most likely not needed! Now that I am in my middle years I finally found a wonderful, kind, and caring dentist. I have been going to see her and have been lucky to have very few cavities. Today, I went to my dentist. It was a half hour appointment for three teeth to get some preventative work. Meaning build up the enamel on the teeth because they were becoming quite thin and could develop into a cavity fairly soon. Two teeth were on my top right and one tooth on my bottom left. No problem. I’ll have a lopsided frozen mouth for a few hours, but it will all be done in one visit. Since I am not a fan of dentists, I liked that idea. A short while into the appointment we discover that under one of the silver caps I have a huge build up of ‘stuff’ and a cavity. We need to get the cap off, fix the cavity and then rebuild the enamel. Once again she was gentle and very caring about the length of time and inconvenience for me while this was being done. Me? I was great! I learned a secret. Meditation. Once I sat down I allowed my legs, shoulders and hands to relax. I called my angels to help me relax some more. I let my mind go blank. I could hear the dentist and her assistant talking to me and I’d answer, and then right back to my meditative state. When we were done, I realized it had been 2 ½ hours and to me the time felt like only half an hour. I was relaxed and realized how meditation helped not only keep me calm, but helped make the time fly by quite quickly. Once again I have found another good reason to develop the habit of meditating. Try it, you might be amazed as well.